There were many things that I thought I might do while I was staying at my sisters place in Wagga, but one thing I never thought I would get up to was make a light box! Seems Amy hasn’t been happy with her food photography after seeing so many of [Megan’s](http://www.imperrfections.blogspot.com/) great photos. She figured that getting a light box might help, but those things cost heaps, up to a couple of hundred bucks. 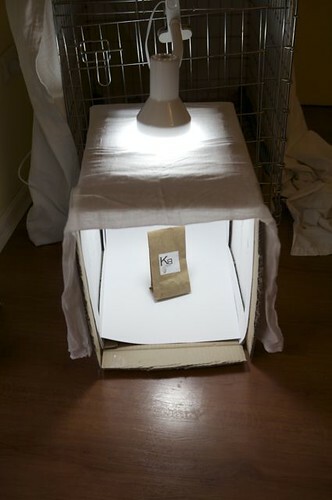 Seems that for about $35 (which includes a lamp & daylight strength light bulb) we can make our own! It’s a little small, but that is OK. We’re thinking of making another one tomorrow! Meanwhile, we had a chance to take some pics while we made dinner tonight. It certainly makes the photos look a little nicer… I really like the dessert one. Always nice to have a beer before dinner. This one is a “dark & strong” beer. It was lovely! 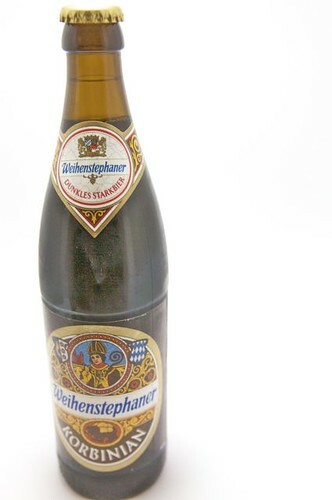 I picked it up at a bottle shop in Melbourne that had roughly 600 beers on offer! 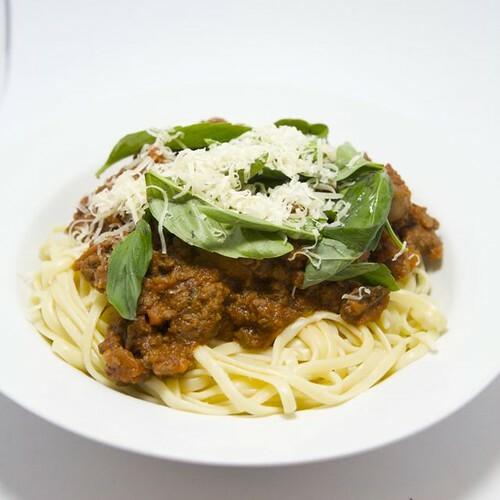 Bolognese for dinner. First time that I have cooked dinner at Amy’s house. I do love the Basil! 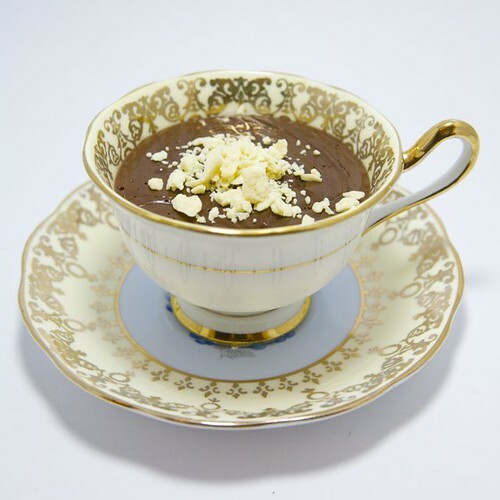 This is a fantastic little dessert called “Budino Di Cioccolato.” In essence, a decadent dark chocolate mousse. Man was it rich & lovely. 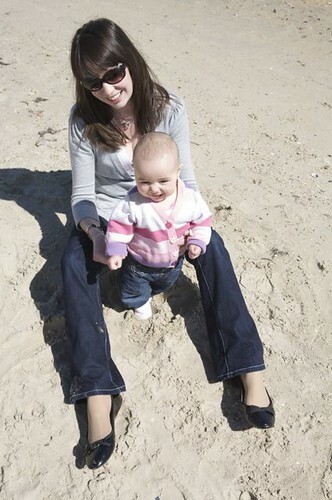 Of course, it would be wrong of me to post without having a picture of the wife & child, so without further ado. I just had dinner but now I’m hungry again!! And in need of beer! We’re visiting Aus in March, so that should give you some time to work on your Budino Di Cioccolato… I’ll be looking forward to the taste testing.